The Skin You're In - Tara Anchel N.D.
Spring is a great time to focus a little bit of extra energy on your insides and outsides. I do a Change of Season detox every year. It’s a great way to boost your energy, decrease allergy symptoms, kick-start some weight loss and improve sleep. An additional benefit is clear and glowing skin—it’s often the first thing that patients report back after completing this detox. But, there are lots of other ways to improve your skin, from the inside and out. Now in my forties, I’m surprised to find myself with the occasional pimple (shouldn’t I be done with those?) AND the lines that come with a life well lived (I love my laugh lines but there’s no reason to speed them along.) Here are some of my inside and out “Love the Skin You’re In” tips. Drink enough water. This is mentioned so often when it comes to skin care that it has become a trope. Hydrated skin looks plumper. Hydrated bowels eliminate toxins more effectively. And, adequate hydration lets the kidneys filter out more of the waste products that can lead to acne. Identify food sensitivities. You know that person that tells you that acne has nothing to do with what you eat (possibly your doctor that rhymes with bermatologist)? They’re wrong. The key is figuring out which foods may be related to your skin issues. Dairy, gluten, sugar, soy and corn are common culprits. Food sensitivities often cause inflammation and acne is inherently an inflammatory condition. Balance your hormones. This isn’t always as difficult as it sounds. For women, a lovely way to gently balance hormones is Seed Cycling. From day 1-14 of your menstrual cycle have 2 Tbsp ground flax seed (freshly ground is best); from day 14-28 have 2 Tbsp ground sesame and/or sunflower seeds. These can be mixed into smoothies, yogurt, oatmeal or apple sauce. The seeds provide the different fats that are needed to make estrogen and progesterone. A more difficult hormone issue can be addressed with your naturopathic doctor. Make sure that your diet is rich in antioxidant foods like dark coloured berries, brightly coloured vegetables, green tea, nuts and seeds, and olives. These help prevent the damage that can prematurely age your skin. Stay away from chemically skin products. I know that when you have problem skin, you want to try all of drug store bottles that promise to make pimples disappear or decrease fine lines. But my experience is that people usually have better results with more natural skin regimes. Oil cleansing is a great, adaptable for all skin-types, way to reduce acne and redness. Many of my patients with acne have switched to this method and swear by it. I have been using straight rose hip oil as a facial moisturizer for the past few months and my skin is super soft and looking great. There are many companies that make oil-blends for different types of skin. Check out the body care section of your favourite health food store for more natural skin care option. Green clay masks. Green clay is incredibly purifying. 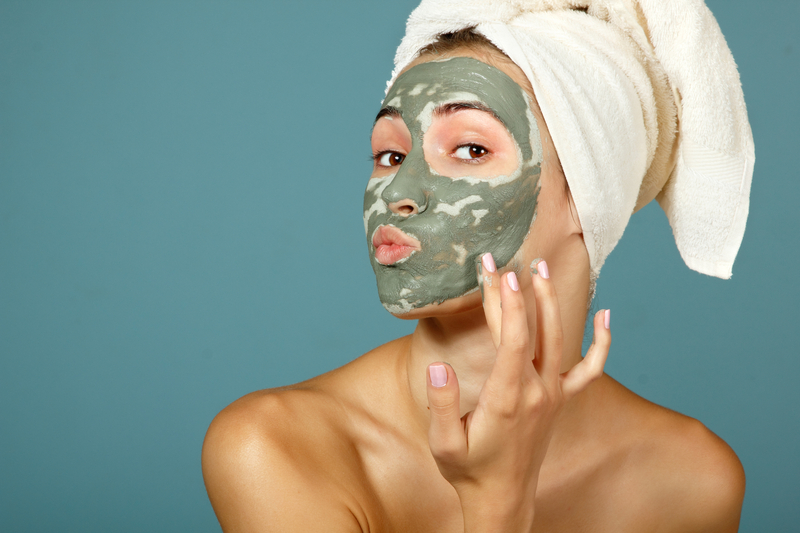 You can find ready make masks or green clay powder that you can mix with water/oils/other ingredients. Green clay doesn’t have to be used very often to be effective. Once a month is usually enough. Get (just) a little sun on your face—in the early morning or late afternoon. We all need a little of the sun’s healing rays but make sure that when the sun and UV rays are at their highest, you are wearing sunscreen. Check out the EWG’s Guide to Sunscreens. I love Oresta’s Skin Defense Mineral Powder which has an SPF of 30. Dry skin brushing. I started using dry skin brushing as a lymphatic massage to boost my immune system. I quickly noticed an awesome secondary benefit—super baby soft skin, from head to toe. I use a dry loofah sponge and make small circles, starting at my feet and moving up my legs, then from my hands toward my body, and then my torso moving toward my heart. You want to pink up the skin, but not leave lasting scratch marks. If you have any questions about my Change of Season Detox or natural skin care options, don’t hesitate to get in touch.